Compare International Movers on your international Moving from Italy to USA! Like any international move, Moving from Italy to USA requires a little preparation. A move to a new location can be a daunting experience. So it’s always useful to have a little information about your destination upfront. Intlmovers is a great way of finding international moving companies that can help you with your international Moving from Italy to USA. Using Intlmovers is one of the most convenient methods of finding the best mover to meet your needs. You can save both time and money. Intlmovers allows you to compare quotes quickly and easily from up to six international moving companies at once! 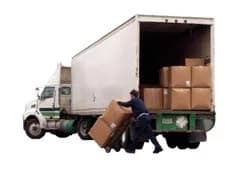 The movers have years of experience with Moving from Italy to USA. They have contacts in the USA which can make your removal cheaper. The USA is the third largest country in the world, covering a land area of 3.79 million square miles (9.8 million square kilometres) of the continent of North America. The USA also has the third largest population in the world, with around 313 million people. The country is made up of 50 states. The capital city of the USA is Washington DC, and the largest city of the USA is the city of New York. Due to the huge area that USA covers, the weather and climate are significantly different across the national regions. Therefore, the country is generally broken down in to six areas to differentiate the weather and climate patterns. The economy of the USA is the largest in the world. the USA accounts for 41% of global military spending and is a leading cultural and political force globally. The major sectors that contribute to the USA’s economy are retail, energy, agriculture, manufacturing and finance. The visa requirements for the USA are very important. Arranging the correct visa for travel to the USA should be one of your first priorities. the USA has a visa waiver program which is applicable for passport holders from 36 qualifying countries. The countries that are included in this list are the UK, Australia, New Zealand, Singapore, Japan and a substantial number of European countries. Under this program, you are allowed entry in to the USA for a stay of up to 90 days without a visa. Canadian and Mexican passport holders are subject to different rules in regards to their arrival and period of stay in the USA. If you are relocating to the USA, your stay is likely to be outside this restricted period of time and so you will require a visa. There are a number of different visa types available. The visa you need will be dependent on your reason for coming to the USA and needing to stay in the USA. The main two US visas are the immigrant visa and the non-immigrant visa. A non-immigrant visa is for people who are wishing to stay in the USA temporarily for the purpose of travelling and touring, business and employment or studying. The immigrant visa are for people who wish to become permanent residents of the USA without any kind of restrictions on their time of stay. The international movers partnering with Intlmovers are all highly reputable professionals. They are industry specialists from the world of shipping and logistics. Their experienced skills have a proven customer service record in the industry. They have expertise in both personal and business shipping. Enjoy a stress free move, and relax knowing that your shipment is being well managed throughout your international move. Take advantage of the extensive levels of international moving company professional experience. Enjoy Moving from Italy to USA! Receive up to six international moving quotes with one single request on Intlmovers. Make your decision making process so much easier! Even though you can receive up to six quote responses, remember that you are under no obligation to accept any of them. Take your time, and evaluate the responses that you have. Compare services, compare costs, and make sure that you are happy with the information that has been provided to you. Make your selection from there for Moving from Italy to USA. When you use Intlmovers to compare quotes, it’s both cost free and obligation free!